Our Hoopsters program is a training only program where all primary aged children new to basketball start their journey with us! We have two locations (Pukekohe or Waiuku) for Hoopsters and your child/ren can attend which ever location suits you. This program is designed to teach children the fundmental skills required to play basketball in a fun, relaxed environment in their first term of basketball. Once players have completed one term of Hoopsters then the following term they are able to move into our Teamsters program if they are ready to take that next step. 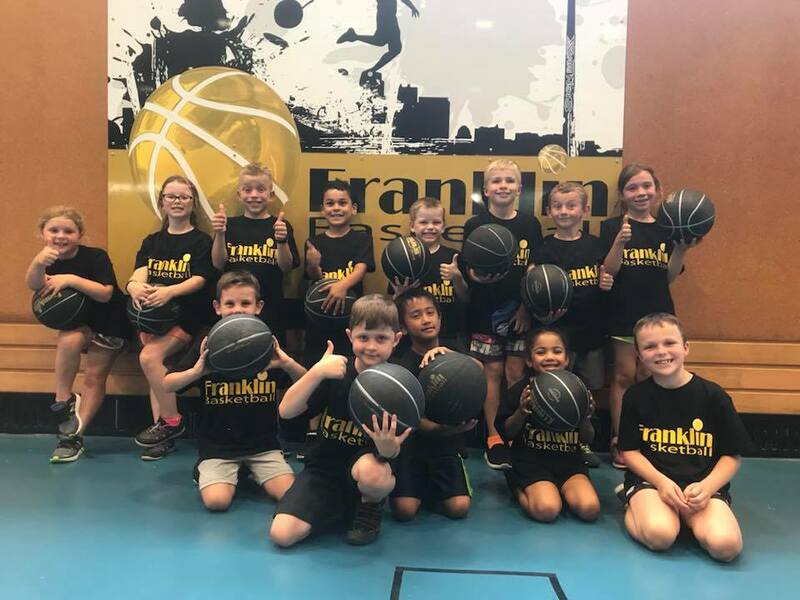 All players will receive a Franklin Basketball T-Shirt and basketball to keep and bring to trainings (please note these are ordered and delivery depends on supplier). Please see our program details for Term 2 below, please note registrations close Friday 3rd May, or earlier if the program reaches capacity. If you are new to our club in 2018- Scroll to the top of the page and select 'Register as a Member' in the top right hand corner and once registered as a member you can register your child/ren for a new program. IMPORTANT**When entering details an email address is not needed under your child's profle, wait until you add the parent profiles to add an email address. Select the correct school term, then Hoopsters, then either Pukekohe or Waiuku.